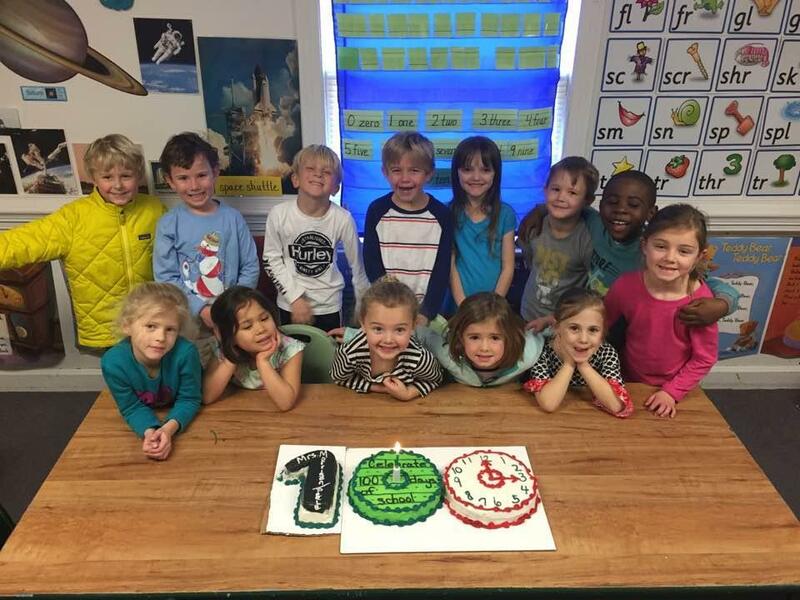 Our goal this year: 100% participation by the 100th day of school (Jan. 31, 2019). 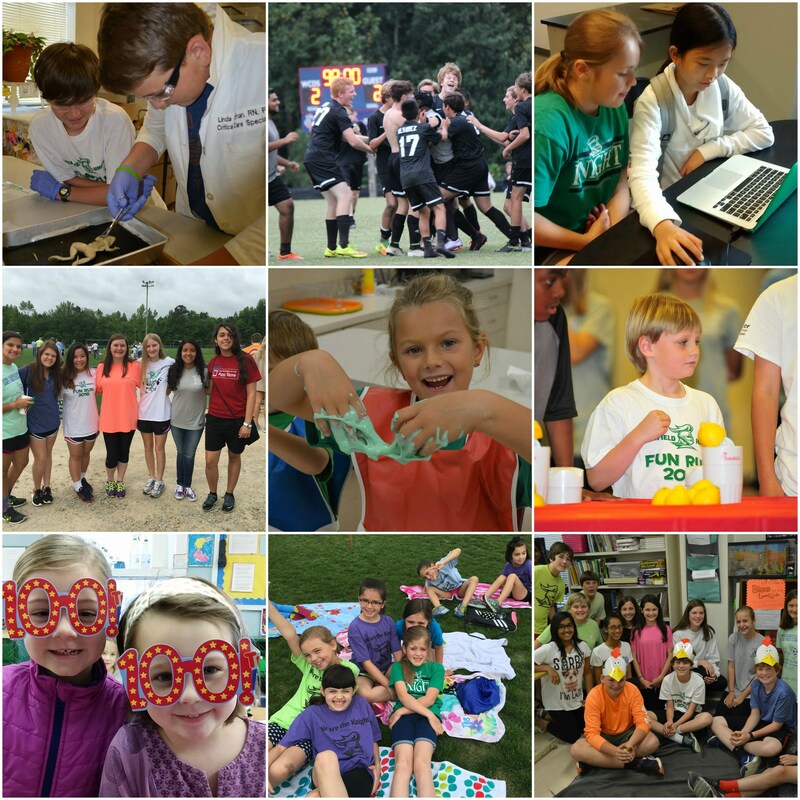 The Annual Fund is Greenfield School’s #1 fundraising priority! The generosity of our community helps directly sustain the school's operating budget and supports every Greenfield student's education. The Annual Fund is an integral part of Greenfield's operating budget. Since tuition alone does not cover the entire cost of educating our students, we rely on contributions to the campaign for 4% of the school's income. Unlike tuition, gifts to the Annual Fund are tax-deductible. Unlike public schools, Greenfield School does not receive any financial support from the local, state, or federal government. Annual Fund, as well as other fund raisers held throughout the year, helps to keep tuition as low as possible while continuing to offer the quality education families have come to expect at Greenfield. The community is one that practices good stewardship and embraces the spirit of generosity. Stewardship for Greenfield is the mindful and responsible care given to managing tuition dollars and contributions. Supporting the Annual Fund touches the lives of every student. Every fall the Annual Fund campaign is kicked off by asking parents, grandparents, alumni, past parents, and friends to make a gift to the school. These gifts go directly to the operating budget each school year and are payable by the end of the school year (June 30). Unlike tuition payments, the donations to our Annual Fund Campaign are tax-deductible. Cash, check or credit cards. These gifts are tax deductible in the current year. To make an online gift, click below. The gifts are tax deductible in the current year. A gift of appreciated securities (stocks, bonds or mutual fund shares) that the donor has held for more than one year is often the most economical way to make a gift. The gift to Greenfield School of a properly endorsed stock certificate is completed on the date of mailing or other delivery to the school's agent (Merrill Lynch). The donor will not have to recognize the appreciation as capital gains. Check with your financial advisor for more information about the tax benefits of donating securities. Please notify the school before a stock transaction is initiated to ensure the process is handled in the most efficient manner possible. Bequests offer an excellent opportunity for you to make a significant gift to Greenfield School. You may designate in your will a specific bequest amount or a percentage of your estate, or you may name the school as the remainder beneficiary of your estate. These options should be discussed with your attorney or tax advisor to establish what is best for your situation. Making Greenfield the owner of a life insurance policy provides for a tax deduction equal to the value of the policy at the time of the gift. In subsequent years, if the donor chooses to continue making the premium payments, tax deductible contributions can be made to the school to cover the premium. Insurance policies can be written so that you will have both an income tax deduction for the premiums you pay and an estate tax deduction for the proceeds of the policy. Give your home, farm or other property to Greenfield School and retain the right to live in your home for the rest of your life. Such a gift provides an immediate substantial charitable tax deduction determined by the market value of your property and by your age at the time of the gift. Place money, securities or property in a charitable trust for Greenfield School and receive an annual income for life. The donor may designate the school to be the beneficiary. The donor receives an immediate substantial charitable tax deduction determined by the market value of the assets placed in the trust and the donor age at the time of the gift. Such a charitable trust may have the form of either an Annuity Trust, which provides a fixed income each year, or a Uni-trust, which provides income annually at an agreed upon percent of the value of the assets at the time of the annual payment. A gift annuity can provide you with a guaranteed income for life and the assurance that the remainder will be used as you direct. Gift annuity agreements contain standard annuity rates which vary with the donor's age. Confidential information will be prepared at your request. Additional information about giving to Greenfield may be found in the Gift Acceptance and Counting Policy, a copy of which is available upon request from the Advancement Office. Also, more detailed information on planned giving to Greenfield can be obtained from the Advancement Office. This fund is for memorials given in memory of loved ones. The funds are used for special needs on campus as specified by the families of those who are remembered. Leaving a Legacy Gift to Greenfield School is one of the easiest ways to donate to Greenfield. Legacy giving involves planned gifts outlined in a person's will. It allows a person to donate assets, but defers the time the school actually receives the gift. It provides tax savings and often improves the donor's financial situation. We strongly recommend donors consult with their attorney or tax advisor before deciding on a legacy gift to Greenfield. Many companies match their employees' charitable contributions. If you work for a company that matches contributions, you can double your gift by filling out the required company provided form and submitting it along with your contribution to Greenfield School. Some local companies that offer matching gifts include Kidde Aerospace (Hamilton Sundstrand), Bank of America, Merrill Lynch, Wells Fargo, and Glaxo Smith Kline.